We’ve all been there. Sometimes Emily is Emiliee, or sometimes she’s Jessica. Whether or not we’ll admit it, we all secretly love the Starbucks barista name-game nearly as much as their drinks. 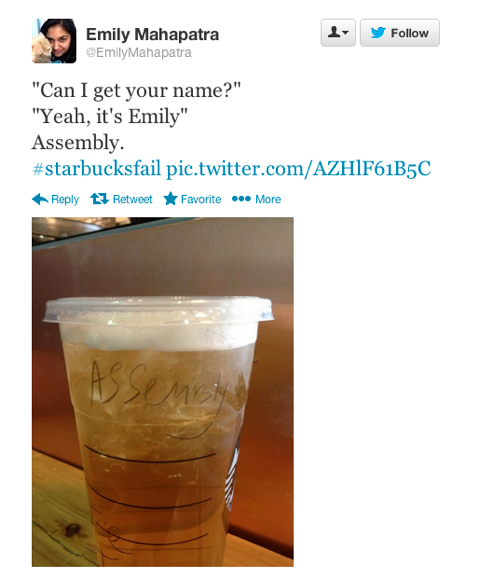 Now there is a hilarious hashtag devoted to sharing your favorite Starbucks name misspellings and mistakes. Check out #StarbucksFail for the best of the worst!